Data portability is important, so Current RMS makes it easy to pull off CSV spreadsheets of key records for your reference. You can even update records en masse using the exported template. Go to System Setup > Export Data to begin. 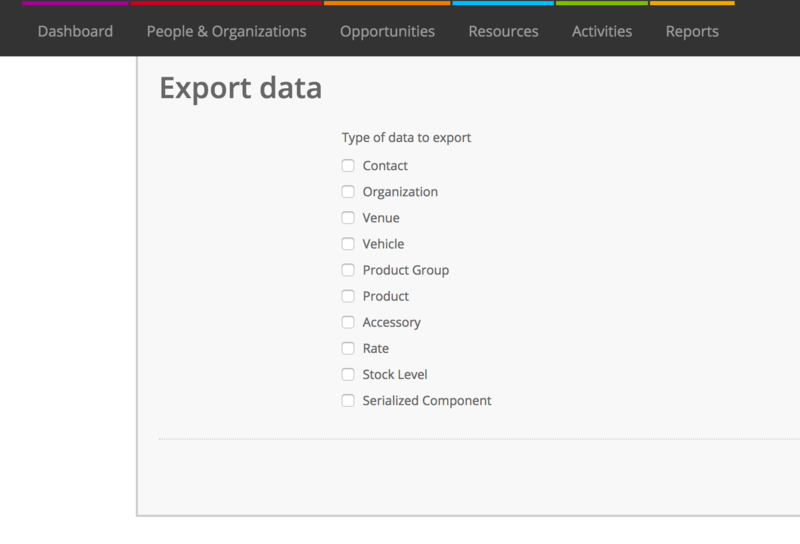 Use the tick boxes to choose what kind of information you’d like to export. Once complete, Current will send you an email with a list of your exports. 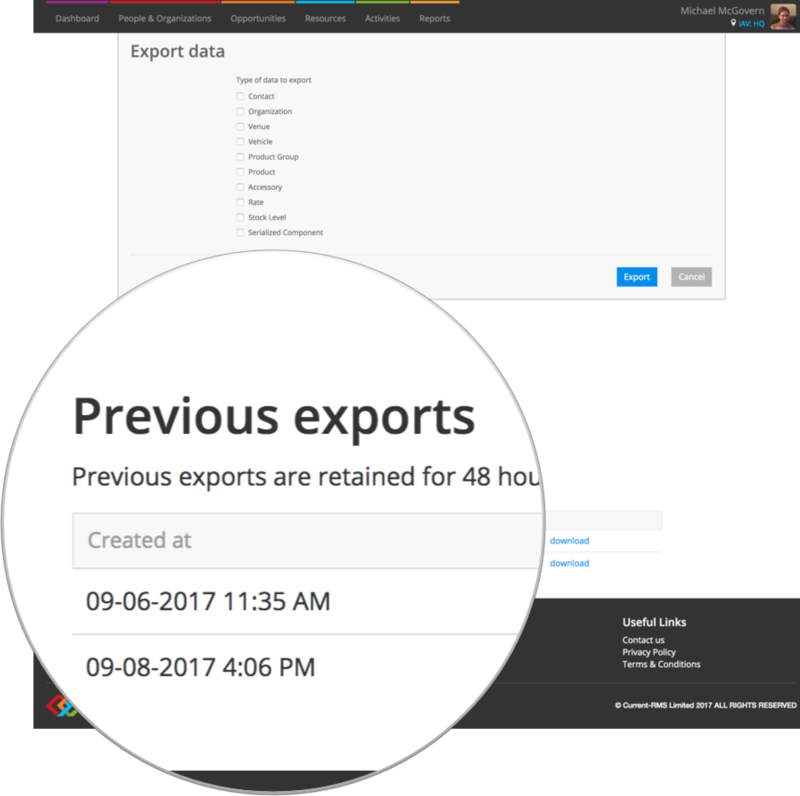 Head back to System Setup > Export Data to grab copies of previous exports. They’re retained for 48 hours. Having the ability to export all of your customers and kit is something that you probably want to restrict. Only administrator users can access System Setup, so only grant admin access to accounts you trust.